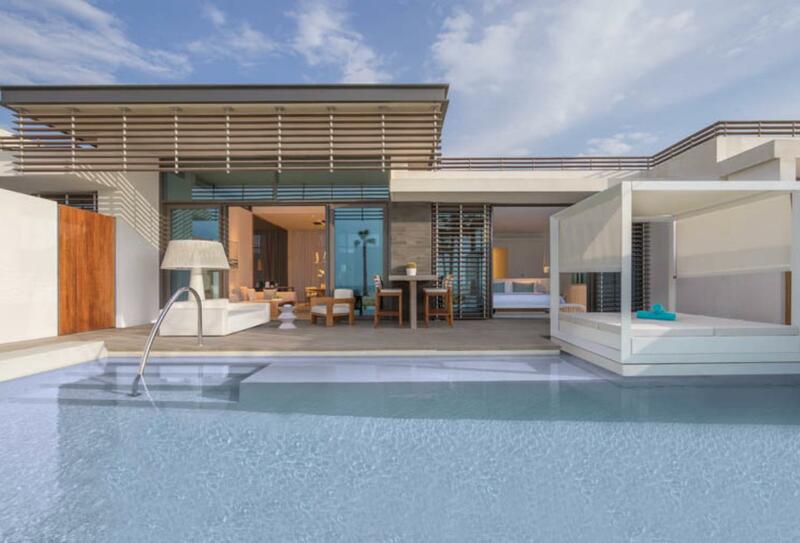 Located on Pearl Jumeirah, Nikki Beach Resort & Spa is a lifestyle destination available to those who recognise and admire the best new trends. 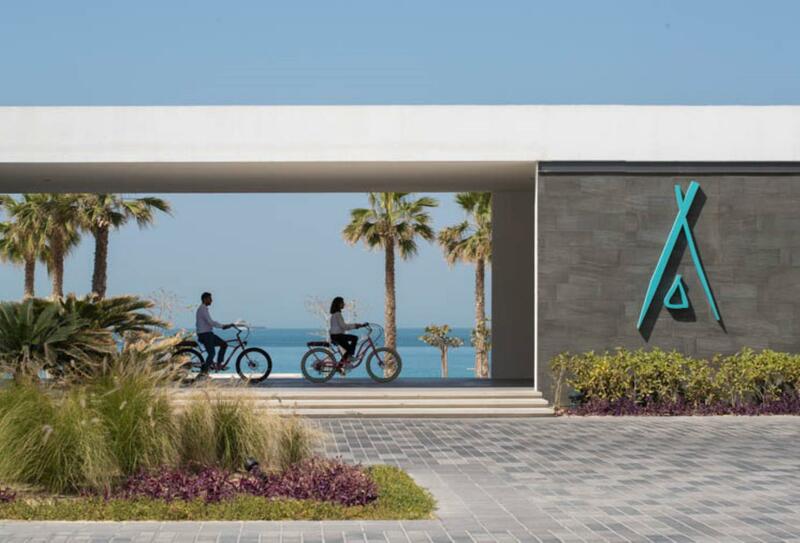 Complete with 117 rooms, 15 ultra-deluxe villas and 63 residences, the hotel boasts a wide array of living opportunities that all share common bespoke amenities, oversized bathrooms and city or Arabian Gulf views. Nikki Beach is known for its culinary expertise, whether it’s the seafood specials of Key West, or the broad palette of sushi rolls and meat dishes from the Beach Club (21 years and over), which also houses a pool and a swim-up bar that serves delicious cocktails. 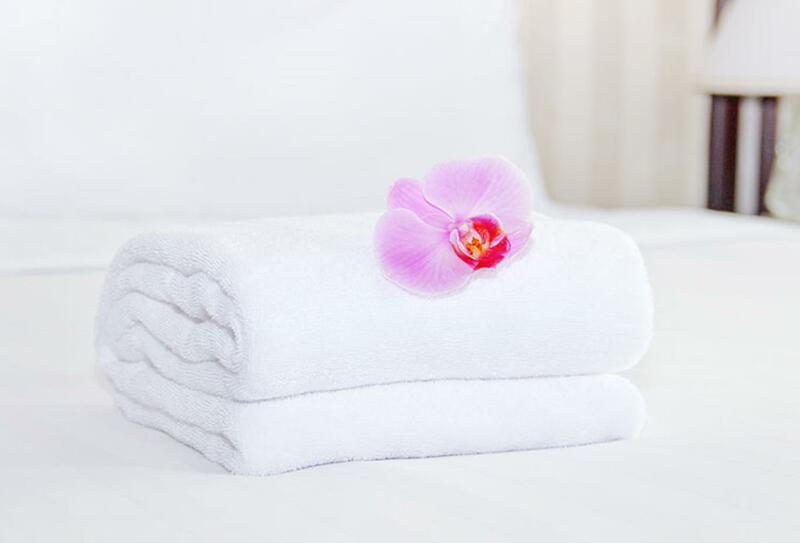 The hotel regularly hosts themed events and its leisure opportunities include non-motorised water sports and the Nikki Spa, home of therapeutic treatments and a mix of traditional and modern therapies. 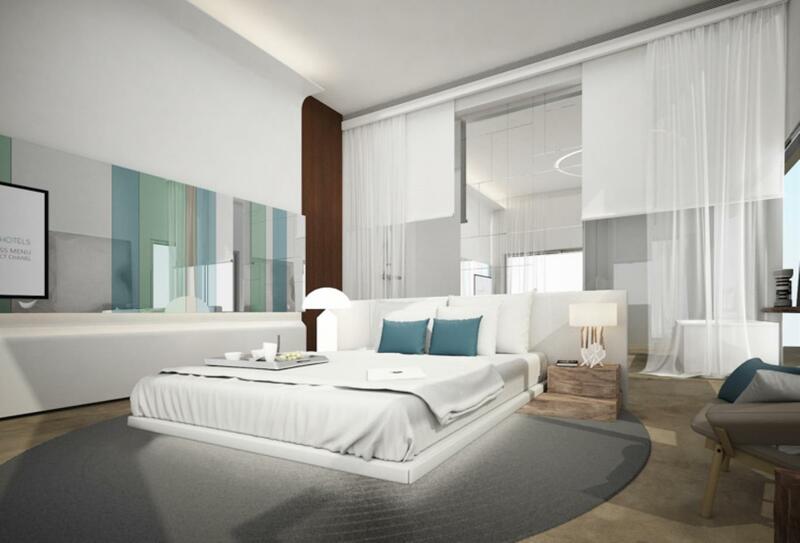 The Covet Room is bathed in clean, white and light blue accents, with a balcony and inspiring views of the Dubai skyline. Framed by floor-to-ceiling windows, the Luux Room features a private balcony and modern amenities. Enjoy striking views of the Dubai skyline. The Signature Room includes a stylish living area and a balcony for captivating views of the Dubai skyline. 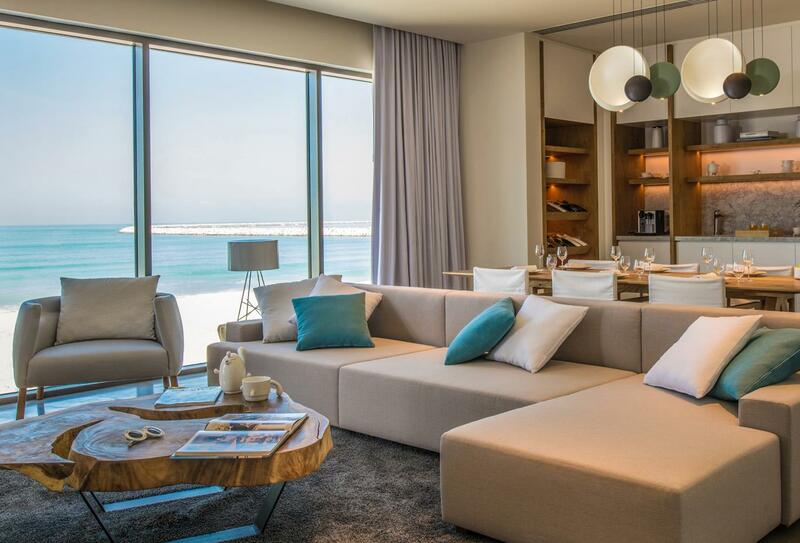 Overlooking the Arabian Gulf, these rooms are spacious and light with a balcony and modern facilities. 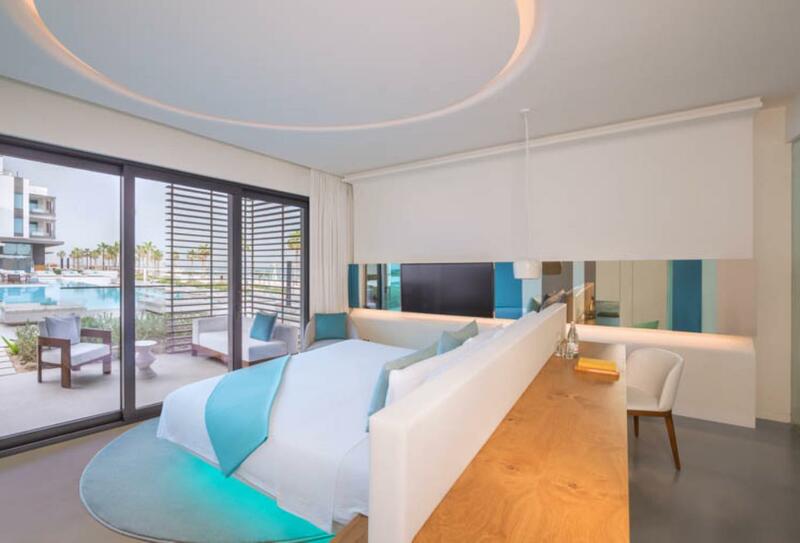 These spacious guestrooms offer a private balcony, from which to admire the views of the Arabian Gulf. Designed for guests who love bright, airy interiors thanks to floor-to-ceiling windows, the 1Bed Luux Suite boasts a living area and a private balcony. Furnished with two bedrooms, the Ultra Suite is located on the top floor of the resort and offers beachfront views of the Arabian Gulf. 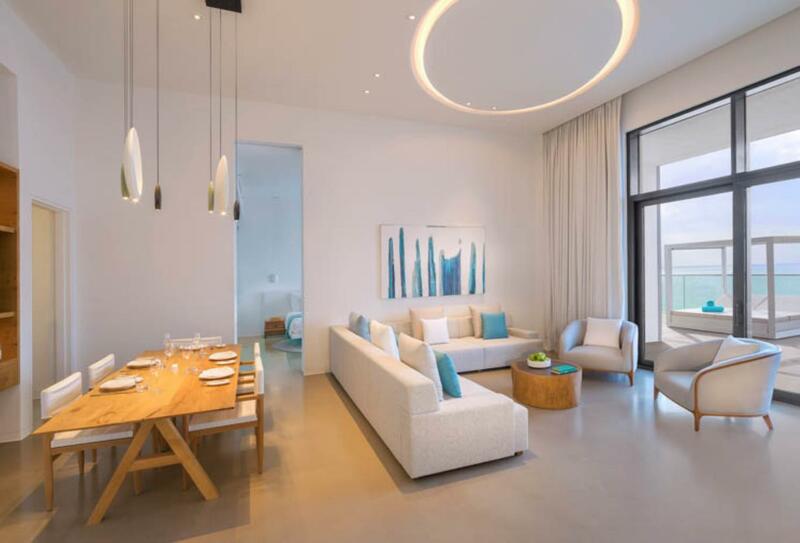 Each villa is decorated in pale blue, white and beige colours which match the elegant wooden flooring. 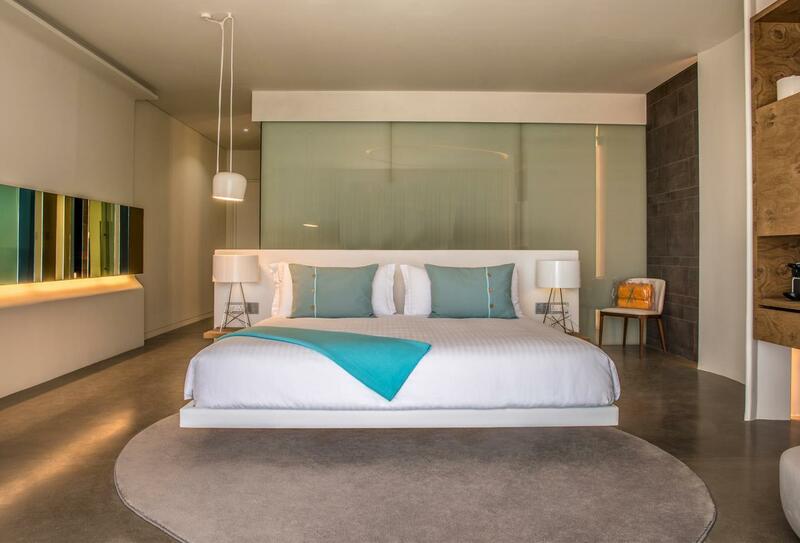 The bedroom and living area have floor-to-ceiling windows and sliding doors that open directly omto the garden. Each villa is decorated in pale blue, white and beige colours which match the elegant wooden flooring. 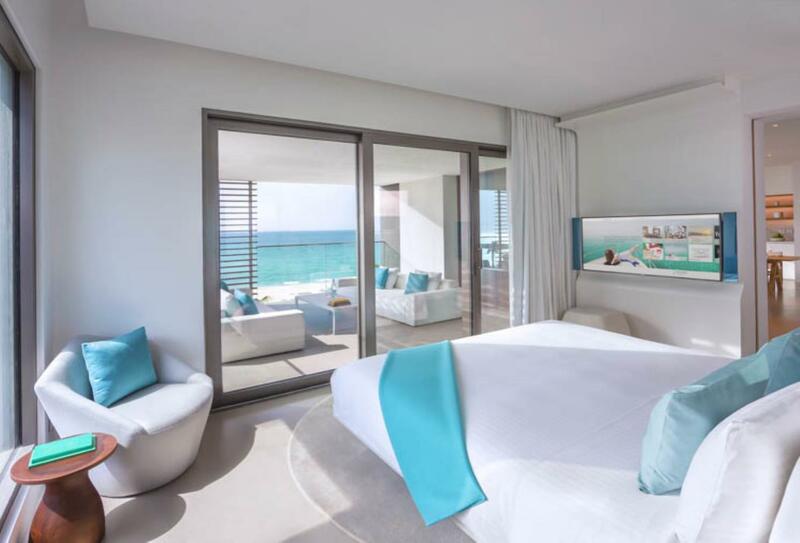 The bedroom and living area have floor-to-ceiling windows and sliding doors that open directly omto the beach. 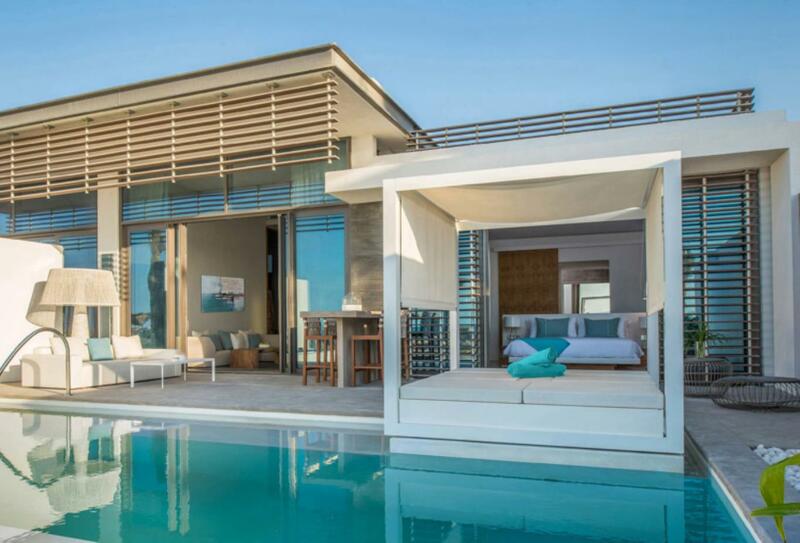 Each villa is decoarted in pale blue, beige and white to compliment the wooden furnishings. 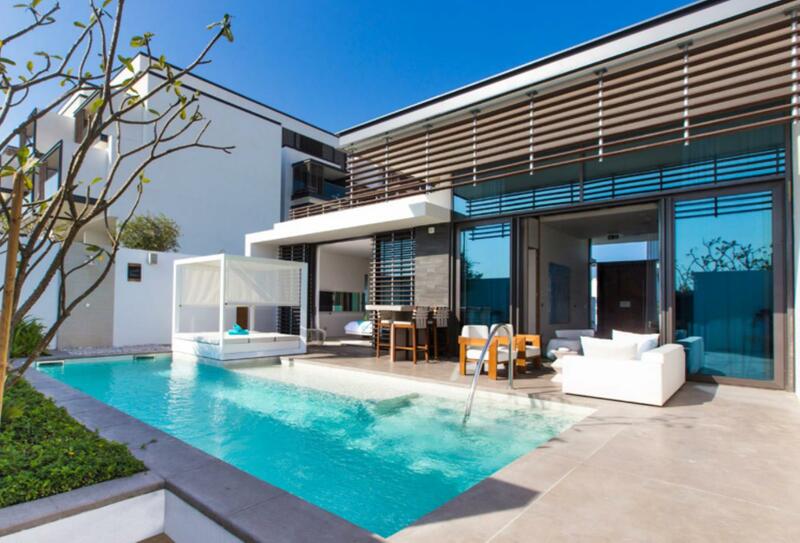 The villa features a sliding door which goes straight to the garden area. 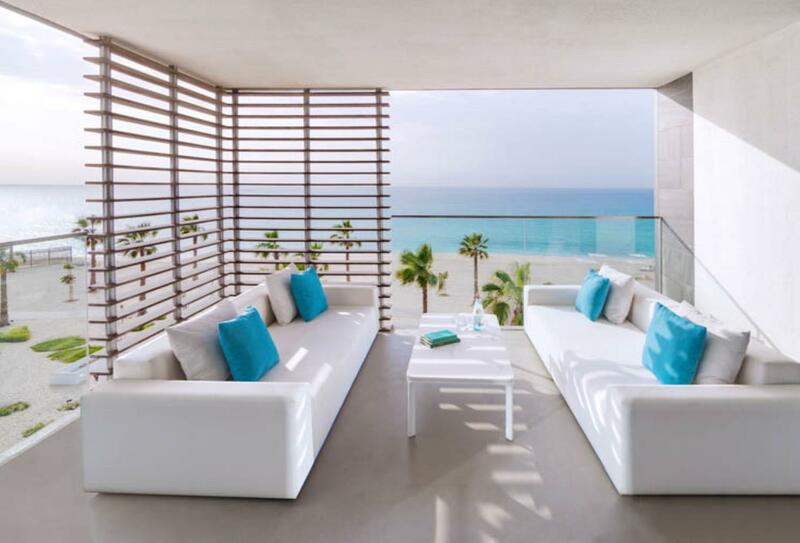 This villa is decorated in pale blue, white and beige which compliment the wooden elements and the villa has sliding doors straight to the beach. This all day urban-bistro not only serves delectable dishes; it also offers prime views of the Arabian Gulf. The restaurant is open for breakfast, lunch and dinner, which comprises a cuisine of salads, sandwiches and seafood. Every Friday, the café also hosts the famous Saint Tropez Brunch. Open for breakfast 07:00 – 11:00, lunch 12:00 – 17:00 and dinner 18:00 – 23:00. Saint Tropez Brunch is every Friday 12:30 – 16:00. The Nikki Privé is an exclusive lounge that features stunning views of the sunset, sea and cityscape. The eatery is located on the first floor and provides spectacular food and beverage options. Live entertainment and a bar are also featured. Open Thursdays from 18:30. 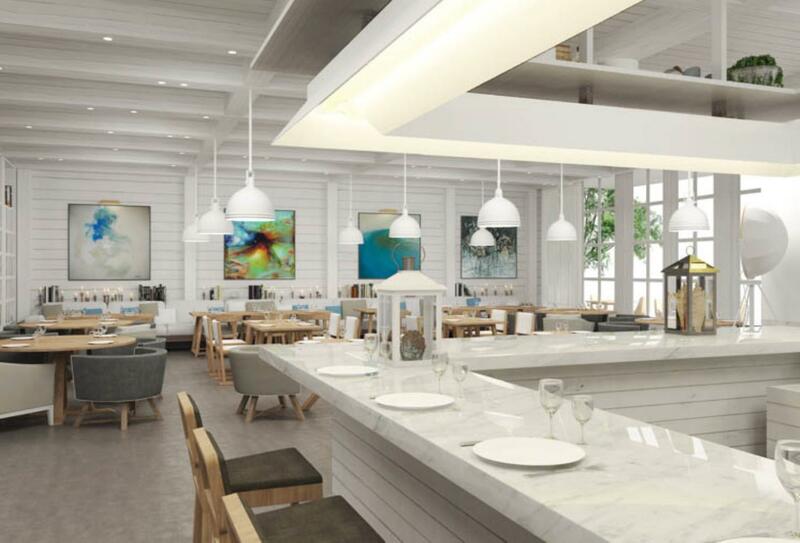 Capturing the essence of the resort town at the tip of Florida, Key West is an authentic eatery that serves fresh fish, seafood and grilled meats. Key West features a boutique collection of rums and cigars. Opening April 2017. The Soul Lounge commands stunning views of the Arabian Gulf and a collection of refreshing cocktails. Chilled out tunes are played during the day, while DJ mixes after sunset make this the perfect place to meet and dance the night away. 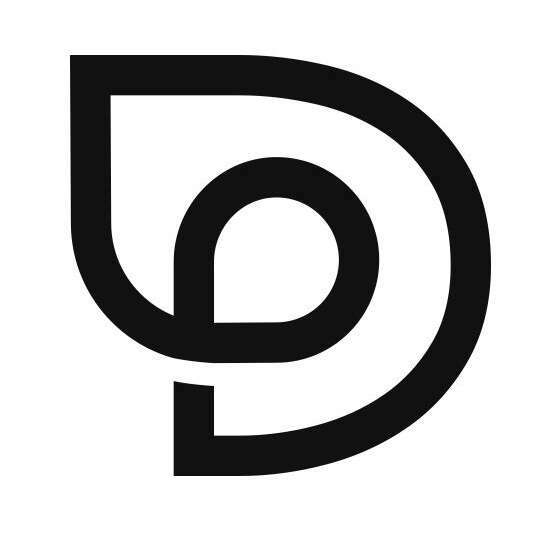 Open Monday to Sunday 08:00 – 23:00. 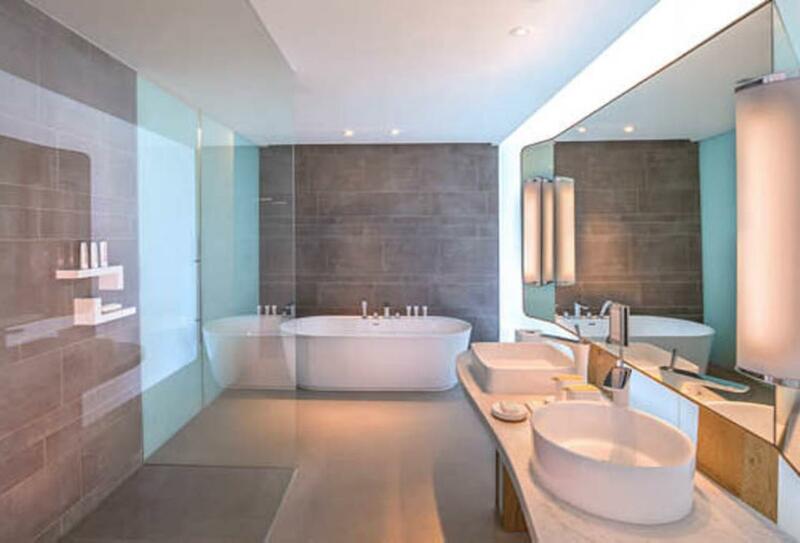 Nikki Beach Resort & Spa is ideally placed just moments away from Downtown Dubai. Many tourist highlights, such as the Dubai Mall and the World Trade Centre are within a 20-minute journey from the hotel, while the fun filled Wild Wadi Water Park is only half an hour away. The hotel is roughly 20 minutes away from Dubai International Airport. A limousine service can be arranged for an additional fee.